After encircling an outdoor section of Coffee Creek Correctional Facility as part of a ceremony to support those who have died by or considered suicide, a crowd of inmates were asked if they had ever struggled with thoughts about ending their life. The vast majority of their hands shot up. "Everyone who serves a long sentence thinks (at one point) that the world would be better off without them," said inmate Carolyn Exum. In an inmate-led initiative, Coffee Creek Correctional Facility hosted an Out of the Darkness Walk Saturday, April 6, and presented a $3,000 check — money raised by Coffee Creek inmates — to the American Foundation for Suicide Prevention, which funds research, raises awareness and provides resources for those impacted by suicide. Tamara Upton catalyzed the initiative. Upton had a pen pal relationship with a fellow adult in custody at Santiam Correctional Institution in Salem, and the man told Upton about a program for suicide prevention that they started there. Despite facing Stage 4 cancer herself, Upton was determined to initiate a similar program at Coffee Creek. So she and other prisoners formed the Walk in the Light committee, wrote a proposal for the Out of the Darkness Walk and prison management subsequently approved it. The women then delivered a Powerpoint presentation to adults in custody about suicide and how to seek help and urged the inmates to donate to the fundraiser. They also made bracelets, which they handed out at the event, with various colors depending on if a person's loved one had attempted suicide or struggled with suicidal thoughts. "It took a lot of courage for them to share their experiences with us," Coffee Creek Superintendent Paula Myers said. ""It was great for them to support each other and give back to the community." Inmates delivered speeches Saturday and walked around the grounds many times to show respect for those who were struggling with suicidal thoughts. That morning, Upton's goal had been realized. "Her will was for this to come to fruition and we're super happy she's here today," Angela Kim said. Though connection with the issue of suicide prevention seemed to be universal among the inmates who attended the event, for a few, it was especially so. Born into a Korean family that treated suicide as an acceptable action in certain circumstances, Kim felt compelled to end her life while grappling with a divorce. it shouldn't be. Life is precious." 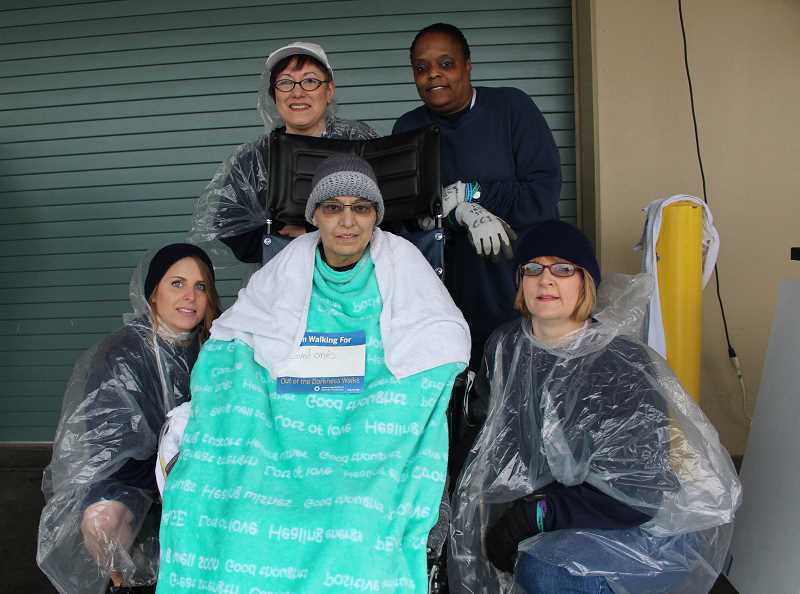 Kim's friends helped encourage her to keep living, but dark thoughts never totally dissipated. And after facing a long prison sentence, they sprouted up again. Kim's family has since changed their minds about suicide and she said her friends, Coffee Creek's chaplain and her faith also helped keep her alive. Now she's a part of a music program and K-9 program at Coffee Creek, has painted murals in the prison chapel and helped organize the Out of the Darkness Walk. Her mental health has drastically improved. "They (suicidal thoughts) happen occasionally but only for a fleeting moment," Kim said. "I know people value what I do." As a 16-year-old, Kimberly Crawford felt isolated from her family and wanted to end her own life. Crawford went through extensive therapy and said she hasn't considered suicide since, even while facing a long prison sentence. Now, Crawford is a survivor's coach at the prison. In that position, she listens to adults in custody going through mental struggles and directs them to prison resources. "Most likely they don't want to talk to officers," Crawford said. "We listen to them and direct them to help." According to a 2017 study by the U.S. Department of Justice, suicides equaled 6% of inmate deaths in the United States between 2001 and 2014 and the mortality rate was 16 per 100,000 inmates. Also the number of suicide deaths rose from a low of 168 in 2001 to a high of 249 in 2014. However, jails typically have higher suicide rates than prisons. Myers said Coffee Creek holds staff trainings on suicide prevention and awareness, has behavioral specialists who can work with inmates dealing with suicidal thoughts and added that the prison checks up on troubled inmates frequently. She also said staffers perform mental health assessments at the intake facility prior to a prisoner's sentence. Myers said that suicide prevention on the staff side is an equally important issue. "Wearing blue or gray, suicide affects everyone in this facility," she said. Adults in custody at Coffee Creek wear blue uniforms, officers gray. According to the study by University of California Berkeley, 10% of officers in California had thought about killing themselves. Myers said that officers are often exposed to events that can cause post traumatic stress disorder and that officers are regularly asked to work overtime to maintain required staffing levels — thus leading to diminished morale. To address this issue, Coffee Creek holds an annual wellness fair, family nights and recently added a wellness room fitted with couches, games and a television. Exum felt that the bracelets worn by both staffers and adults in custody represented a shared experience among the two groups. "If I have a bracelet and you have a bracelet we have an identification," she said. "We both understand." 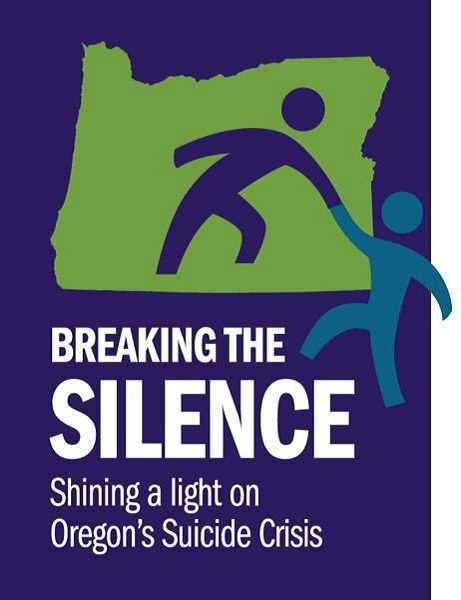 This article is part of a statewide media collaboration, 'Breaking the Silence', looking at the issue of suicide in Oregon. Oregon Public Broadcasting, one of the participating news organizations, has been examining suicide in Oregon jails in its series, 'Booked and Buried'.